To enable supply chain tracking and tracing, the IBM Food Trust™ solution leverages several message (data) types. Each data type is an XML message in a unique format, derived from GS1 standards. These data types, and their associated message types, are explained in the following sections. The Master Facility Data XML message type is derived from the GS1 Basic Party Registration XML message type, and describes facility information in IBM Food Trust. The Master Item Data XML message type is derived from the GS1 Item Data Notification XML message type, and is used for registering trade items (products) in IBM Food Trust. 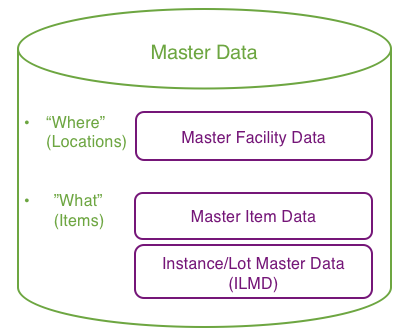 Instance/Lot Master Data (ILMD) has no message type specific to IBM Food Trust, unlike Master Facility Data and Master Item Data. For ILMD, IBM Food Trust uses EPCIS Commission and EPCIS Transformation events (i.e. events that lead to the creation of an object), with optional ILMD fields. When a specific item lot is defined on the network, an LGTIN (GTIN with a preceding Lot/Batch number) is used in ILMD; when a specific item instance is defined, an SGTIN (Serialized GTIN) is used. The Purchase Order (PO) XML message type corresponds to the GS1 Order XML message type, and describes a specific trade item transaction in IBM Food Trust. 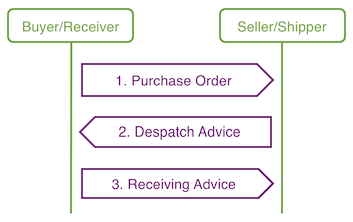 The Despatch Advice (DA) XML message type corresponds to the GS1 Despatch Advice XML message type (aka Advance Shipping Notice or ASN), and describes the trade items being sent (one Purchase Order per line). Note: For GLNs and GTINs, IBM Food Trust-generated IDs are also supported. The Receiving Advice (RA) XML message type corresponds to the GS1 Receiving Advice XML message type, and describes the trade items received and their condition. Electronic Product Code Information Service (EPCIS) Events correspond to the GS1 EPCIS XML message type, and describe trade item observations, transformations, and creation and removal, for both individual and aggregated objects. The GS1 EPCIS standard is used to codify the event data that members upload to the network. An EPCIS event specifies the What, Where, When and Why of an event, for one or more trade items. Commission Event Data describe the creation of objects (commissioning of a new object EPC), such as a new trade item lot from a harvest event, or a new pallet Serial Shipping Container Code (SSCC). List of class-level trade items (LGTINs) or instance-level trade items (SGTINs) (or both). Commission events can also contain Instance/Lot Master Data (ILMD). Decommission Event Data describe the deletion of trade items (removal of an object EPC). Observation Event Data describe trade item observations, such as a product scan at a retailer. Transformation Event Data describe an irreversible combination of input objects into output objects, such as the creation of chicken breasts from live chicken. List of class-level output items (LGTINs) or instance-level output items (SGTINs) (or both). Transformation events can also contain Instance/Lot Master Data (ILMD). Aggregation Event Data describe a reversible aggregation of input objects into output objects, such as boxes of produce into pallets of produce. Outbound shipping from a supplier to a retailer distribution center is mandated to be an aggregation event. List of class-level child items (LGTINs) or instance-level child items (SGTINs) (or both). 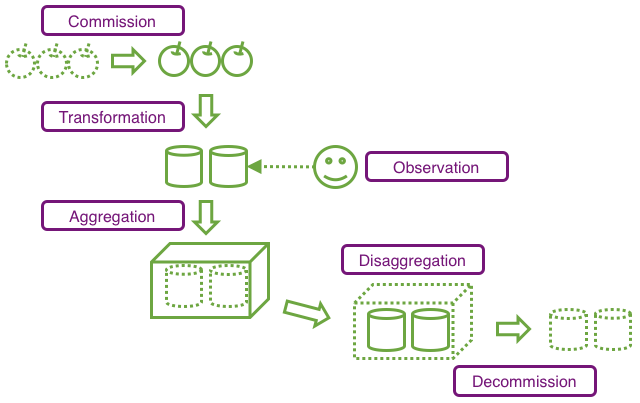 Disaggregation Event Data describe a disaggregation of objects from a reversible aggregation, such as pallets of produce into boxes of produce. Certificate data describe facility certificates, such as certificate binaries with descriptive metadata for the auditing body, audit dates and scores, expiration dates and location GLNs, e.g. Submit generic string-encoded payloads can be submitted to IBM Food Trust. An annotated sample of the XML payload can be found here. Submit encoded public signing keys to IBM Food Trust with an XML format. Detailed information can be found on the Cryptographic Data page.